When setting up any lesson that deals with potentially sensitive subjects, it’s essential to begin by creating a safe, secure learning environment. This will help children feel confident to share their ideas, values and attitudes without fear of negative feedback from their peers. A safe learning environment with clear boundaries also helps teachers to manage discussions on sensitive issues with greater confidence. The Relationships Education (formerly SRE or RSE) resources within SCARF include specially produced films and guidance for dealing with the particularly sensitive nature of this subject. These cover creating a safe environment, handling sensitive questions and using a question box or ‘Ask it basket’. Link PSHE and emotional health and wellbeing education into the whole-school approach to supporting pupil welfare and safety. The use of SCARF to build a positive, respectful ethos in school can help with this. Work with pupils to establish ground rules about how they will behave towards each other in discussion, rather than imposing rules on them. This helps rules to be more meaningful and relevant (see examples, below). Ensure that ground rules/class agreements reflect the school’s wider policies and practice in relation to managing sensitive issues. Provide opportunities for children to ask questions anonymously, by using a Question Box or ‘Ask it Basket’, for example. This enables children to ask questions that concern them without having to do so in front of their peers. 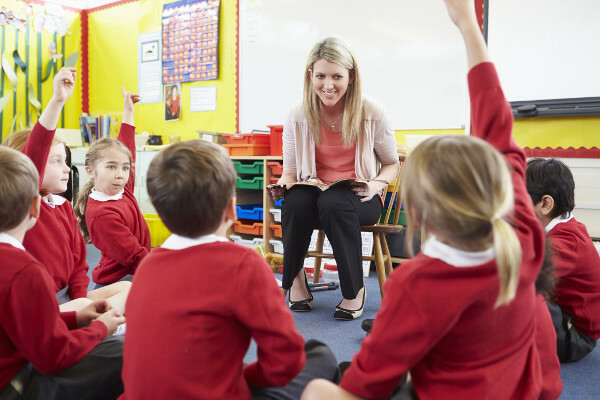 Offer opportunities for pupils to discuss issues in small groups as well as sharing views with the class; this can help some children to feel more confident. Provide balanced information including a variety of views to help pupils clarify their own opinions (whilst being clear that behaviours such as discrimination and bullying are never acceptable in any form). Be aware of and sensitive to the needs and experiences of individual children that may have direct experience of some of the issues being discussed. Provide information to children about how they can get help and support both in school and outside, as appropriate. Always work within the school’s policies on safeguarding and confidentiality, in particular making it clear to children your school policies on disclosure of confidential information and following up concerns in a more appropriate setting outside lessons). Depersonalise discussions by using distancing techniques – stories, role-play, scenarios of real situations but with fictional characters and storylines etc. Use language that won’t offend or upset other people. Use the correct terms, and if we don’t know them, we’ll ask for help. Comment on what was said, not the person who said it. Don’t share our own, or our friends’, personal experiences. We have the right to pass. Don’t judge or make assumptions about anyone. Upheld consistently by the teacher as well as the children, without exception. Some teachers also felt that getting children to sign an informal contract also worked well. You will find short films that demonstrate setting up class agreements with both younger and older children in the SCARF resources. The fact that humans are largely influenced by and conform to peer norms underpins social norms theory and practice. Humans feel safer and more emotionally comfortable when they conform, which explains the success of the fashion-led industries, not limited to clothes but food, cars, furniture, in fact almost all aspects of life. Research has focussed on whether the perception of peer norms is the same as the actual peer norms, and findings across the world have shown that they are consistently quite different. Young people (and adults) tend to overestimate the amount of risky behaviour (bullying, substance misuse, sexual behaviour etc.) their peers are engaged in and underestimate the safe and protective behaviours of the peer group. Crucially, we are inclined to believe that the way in which the majority behave is most acceptable. Therefore when the perception of ‘usual’ or ‘normal’ behaviour such as an exaggerated view of the normal amount of risk-taking behaviour becomes the prevalent or majority view we become more inclined to adopt that behaviour even when if it is contrary to an actual consumption proven by research – because this is less well known. Practical application of Social Norms theory provides us with strategies which can actually make a tangible difference to young people’s behaviours. In essence, the more we can promote positive and healthy behaviours the more those behaviours increase within the group. By correcting the misperceptions of norms of behaviours the more likely the actual norms of behaviours will change. The more we talk about and focus on extreme (negative/risk-taking) behaviour, in education programmes, the more we contribute to the misperception problems. We need to talk regularly and credibly about the fact that the majority exhibit healthy and positive behaviours. Balanced Drugs Education and Relationships Education programmes will promote healthy norms challenging misperceptions of peers’ risk taking, and taking a preventative approach. SCARF lessons strongly promote this approach and incorporate statistics to help children understand the true norms. For more information, watch this film of the internationally renowned Social Norms expert, Professor Wesley Perkins. * The PSHE Association offers members comprehensive guidance on setting a safe learning environment.